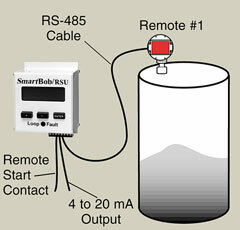 System designed for a simple interface between the SmartBob II Remote Sensor and the PLC or DCS system. The PLC/DCS can initiate a measurement by providing a dry contact closure to the Remote Start Unit (RSU). The PLC/DCS can then retrieve the measurement from analogue 4-20 mA current loop output from the RSU. 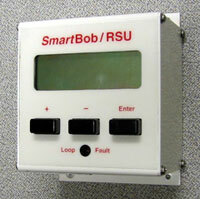 The RSU also provides a remote display and can be used to initiate a manual or timed measurement.